Captain Paul August 8, 2018 FOOTBALL, MAN CITY, PREMIER LEAGUETagged Manchester City, Manchester City news, Manchester City newsnow, Pep Guadiola, Riyard MahrezLeave a Comment on Can Manchester City Retain The Premier League? Reigning premier league champion, Manchester City have started their preparations for a new season on a high note by defeating Chelsea in the community shield last Sunday 2-0. Sergio Aguero’s brace was enough to see the Citizens triumph over the FA cup winners. His first of the match marked his 200th for the club, a milestone that has not been reached before at the club. Looking at the new season, Pep Guadiola and his team are positioning themselves to retain their title. Since the 2009, No team has won the premier league in consecutive years and City aim this season is to break that deadlock. With Pep Guadiola in charge, City have been able to remain formidable in their squad depth by strengthening where necessary and brining in young players to add to the squad. 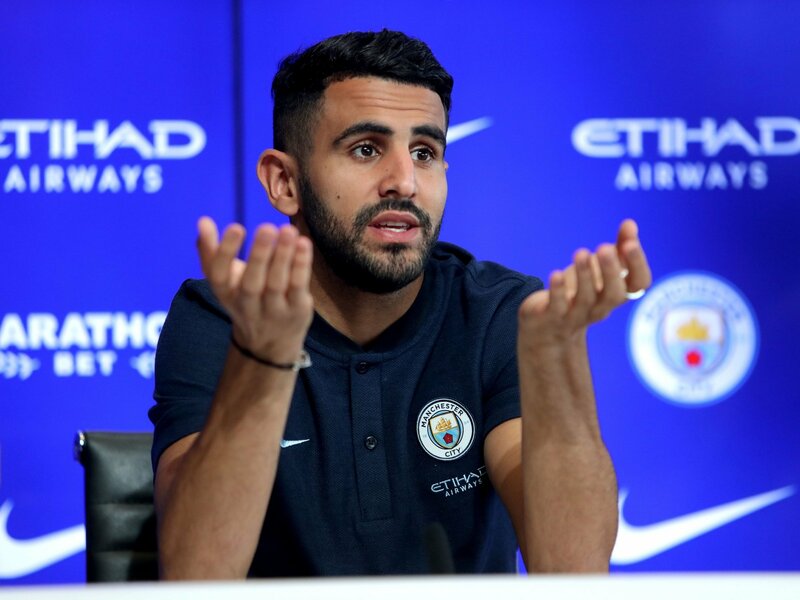 It is well understood that only Riyard Mahrez have joined this summer, but looking deeper into the squad, some players are returning lust like new signings. Benjamin Mendy was out for most part of the season and have fully recovered and will take his place in the starting eleven. Starting Phil Foden in the community Shield was another marker Pep want to show everyone in the league. He said the 19 year old is finally ready to take up a challenge and start in the premier league. His talent is one many have never doubted and Pep backing him to fight for a place in the starting lineup might just be like a new signing. One major factor that will work greatly in City’s favour is the great understanding and synergy his team have built. The players have keyed into the way the manager wants them to play, setting up in different tactical mode. Using John Stones in midfield in the game against Chelsea is another tactical tweak he’s trying out and we should expect more of that this season. On paper, his squad still look like the strongest and he knows winning the league again will exalt him to another height among the elite coaches. Having the resources to do the job and also having the right mentality are two different qualities that are need and are both present with the current Man City squad. The major problem the team can be facing is a complacency issue. Knowing Pep Guadiola’s for who he is, he will definitely want to enact his dominance in the premier league and the only way he can do it is to keep the premier league trophy at the Etihad stadium.